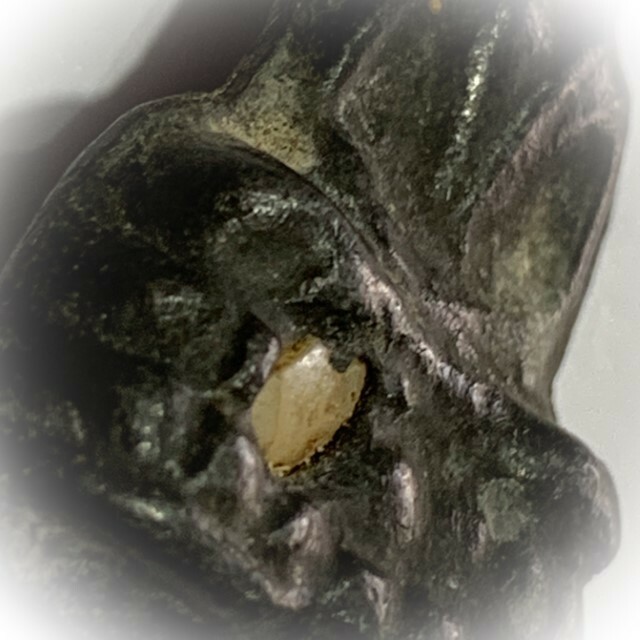 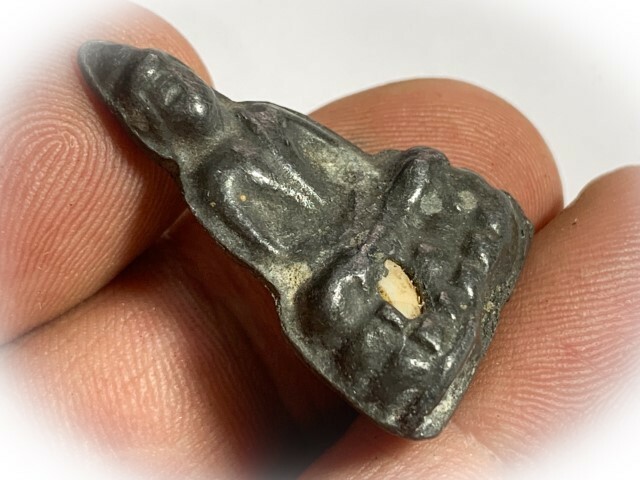 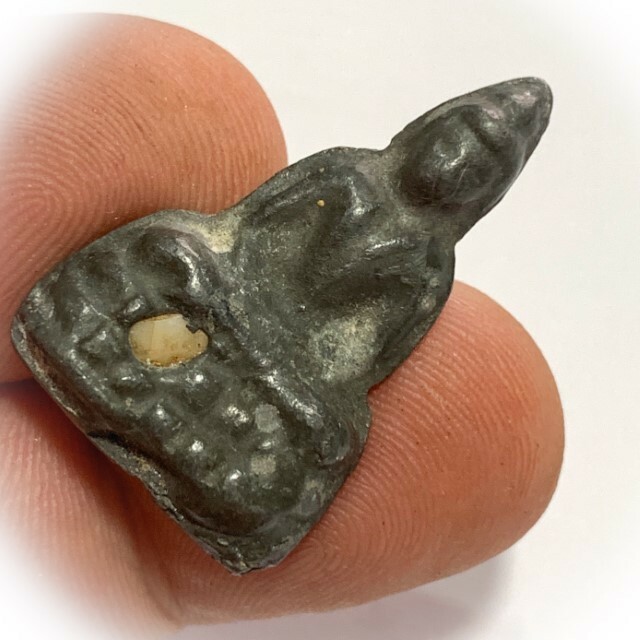 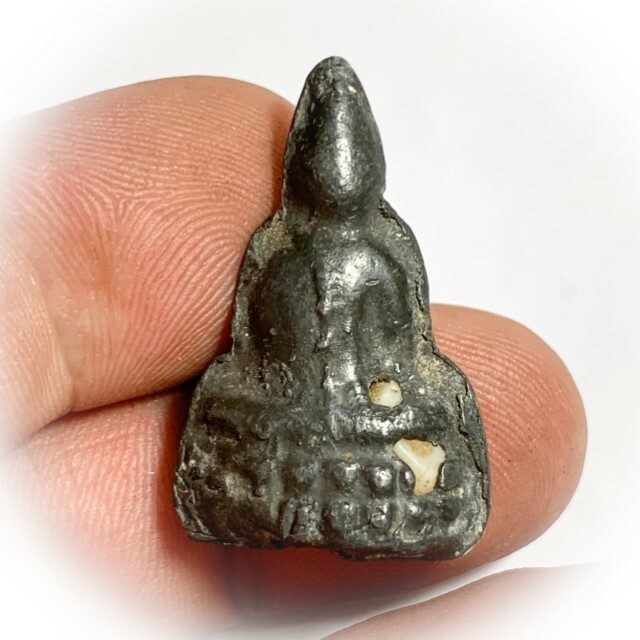 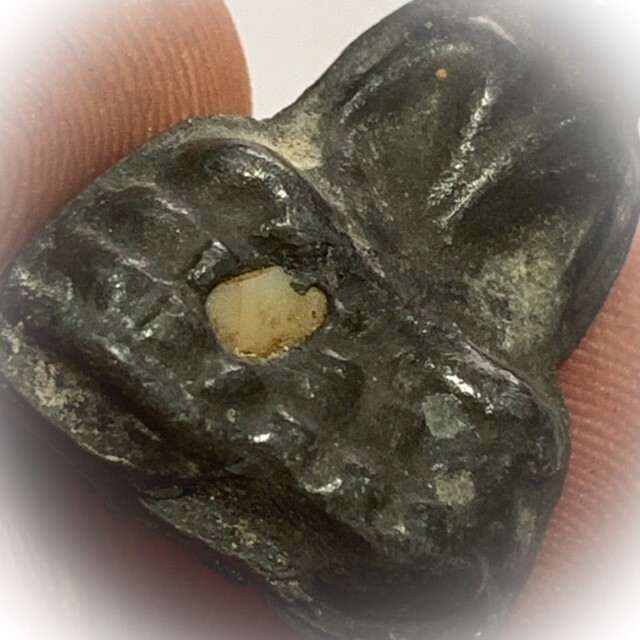 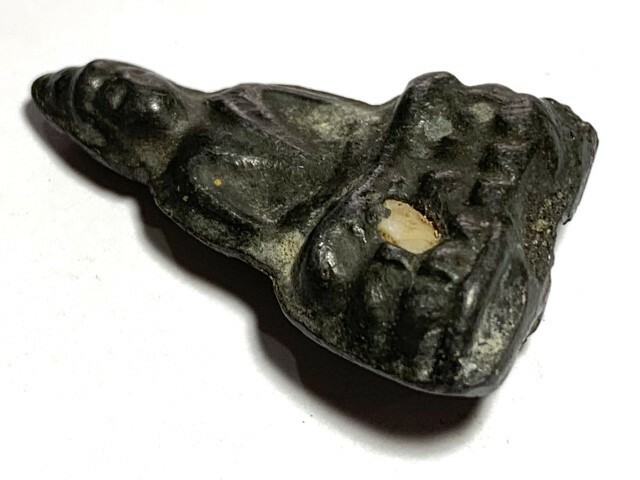 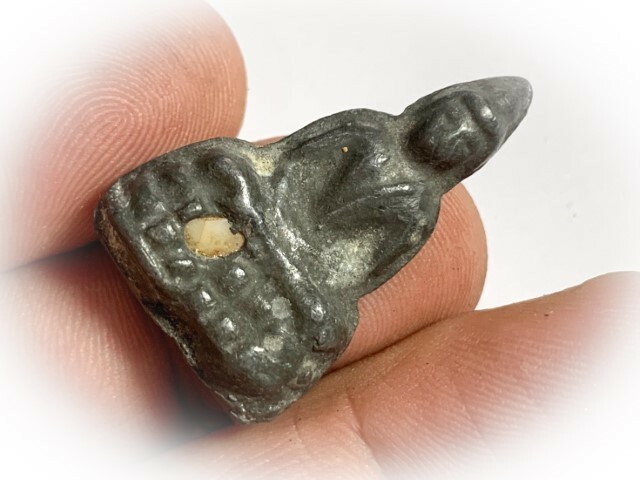 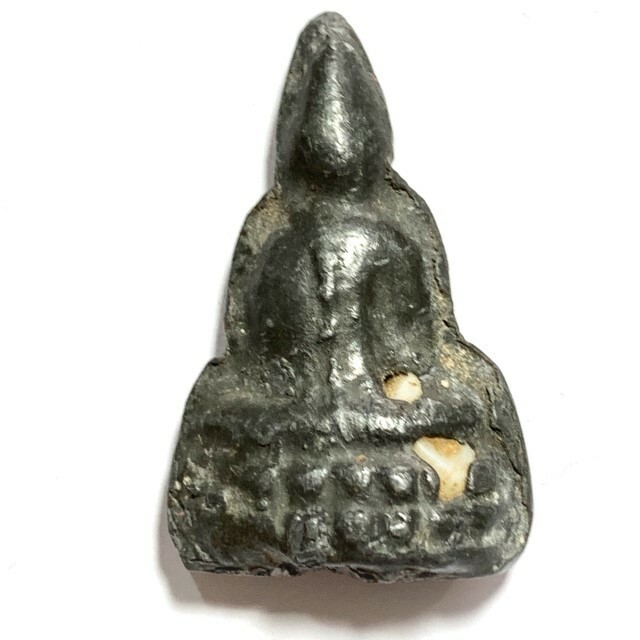 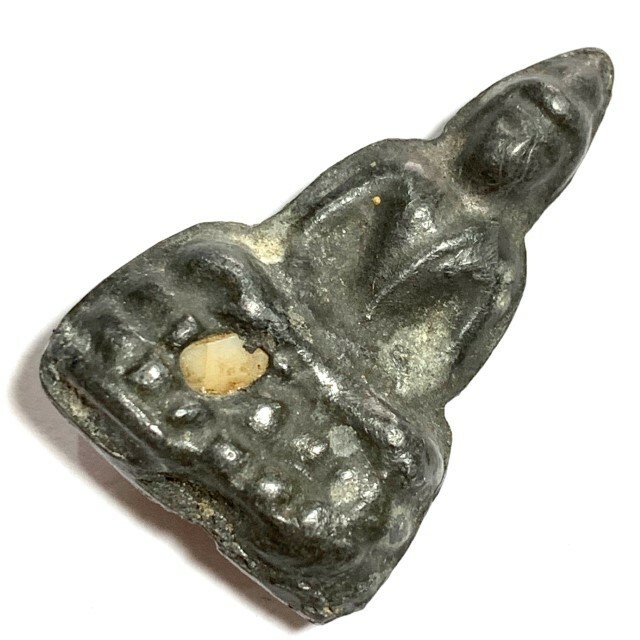 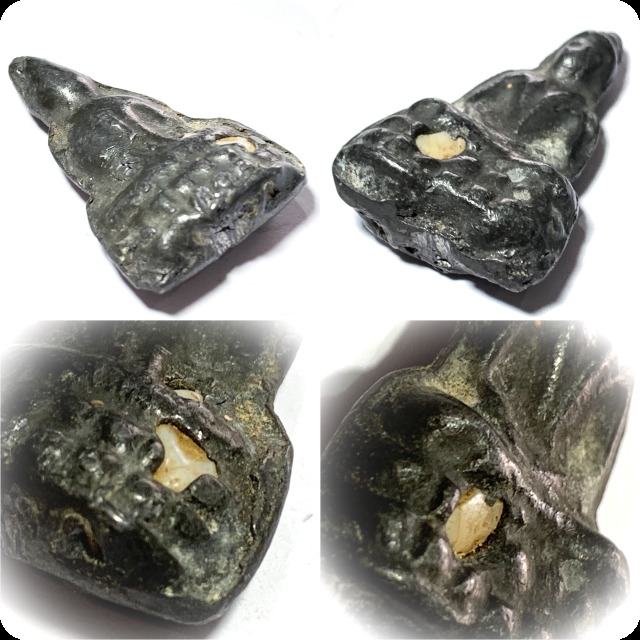 A seldom seen Large Pim Yai version (3 x 2 Cm) of Luang Por Dam's Extremely Rare and Highly Prized Khmer Alchemical amulet, the Pra Pim Pra Put Nuea Chin Dtakua Fang Khiaw Hmaa Pha, Leaden Buddha Amulet with Magic Spell and Visible Wolf's Tooth Insert. 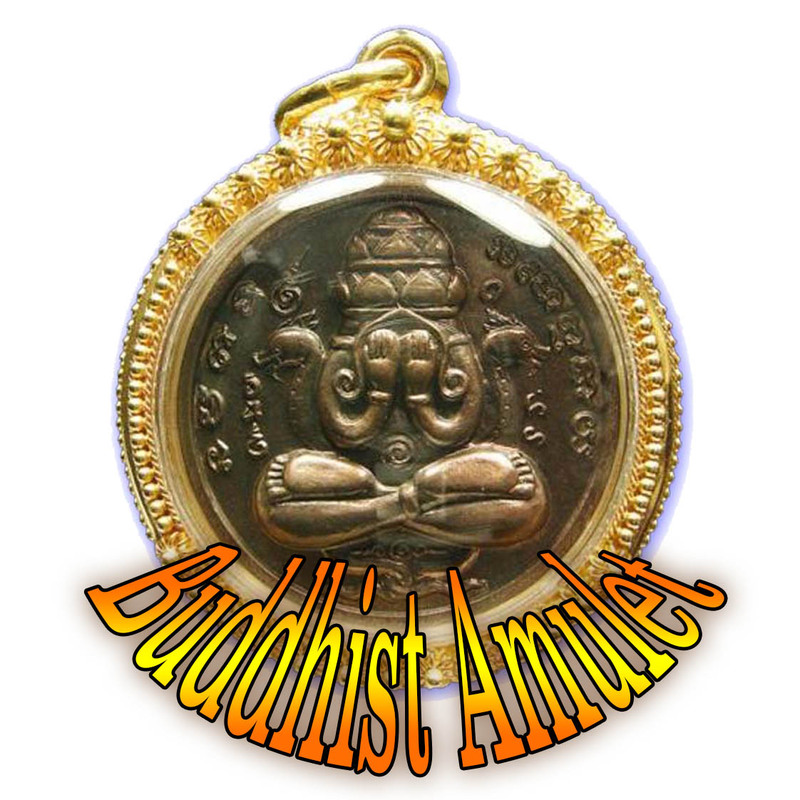 Free Registered Airmail Shipping Worldwide is included with this amulet. 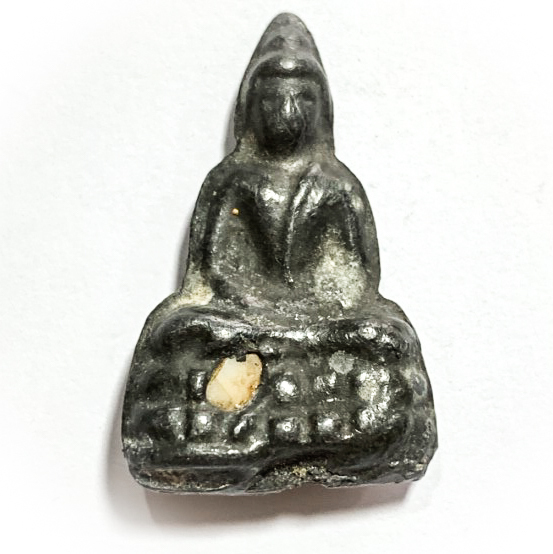 The Pra Pim Pra Put Dtakua Fang Khiaw Hmaa Pha, was one of a variety of different Pim (models), which Luang Por Dam created by taking already pre-existing designs from other great temples and masters, and using them to make these amulets. 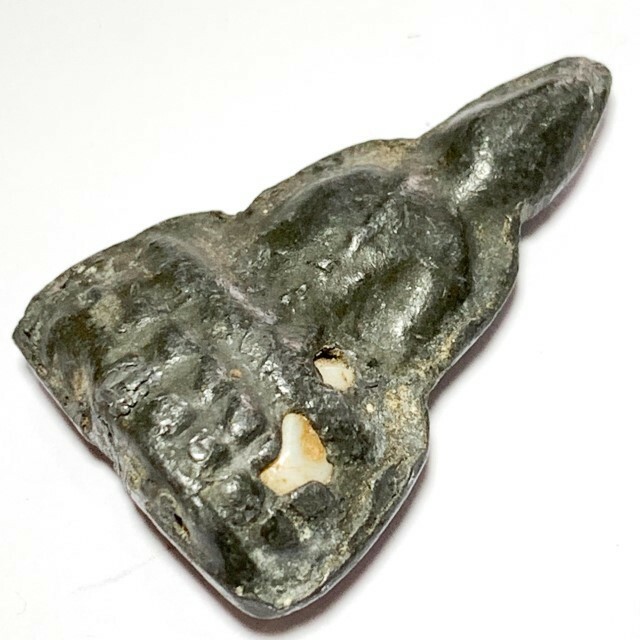 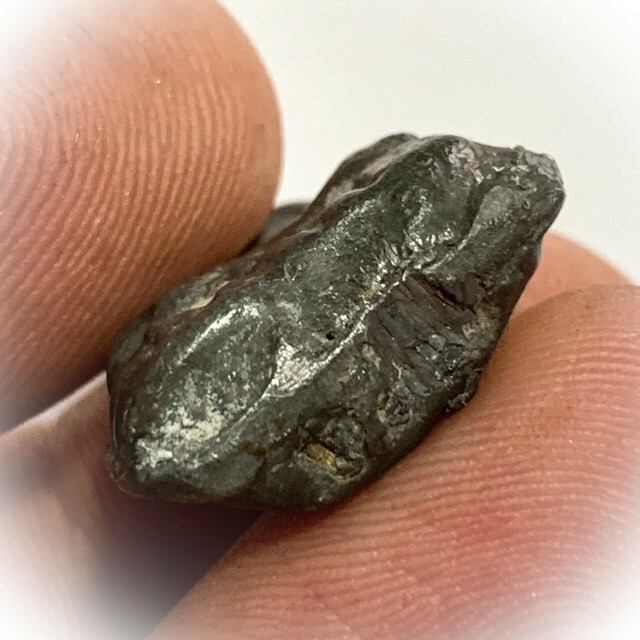 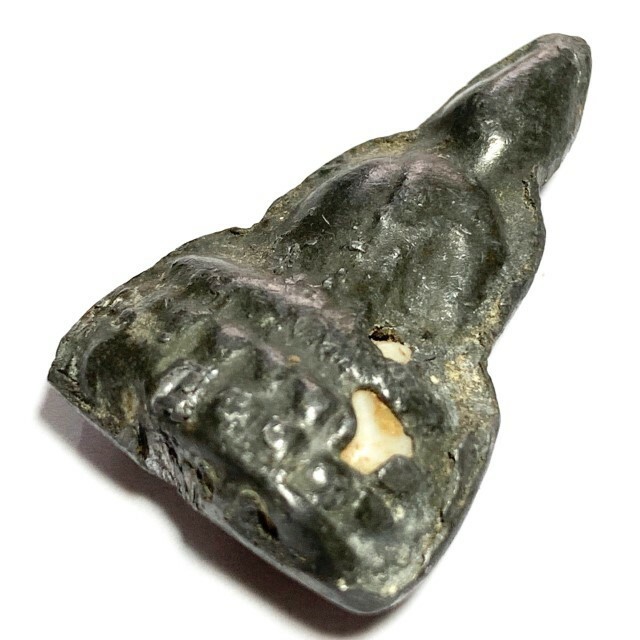 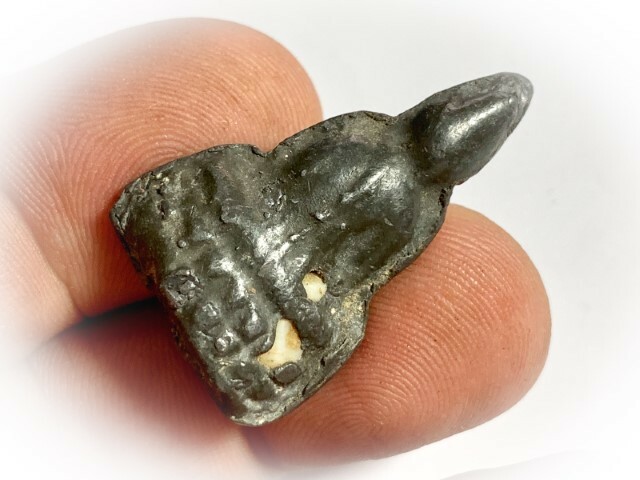 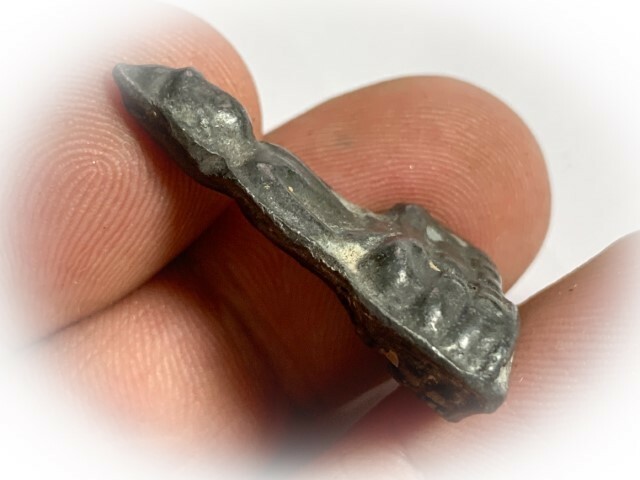 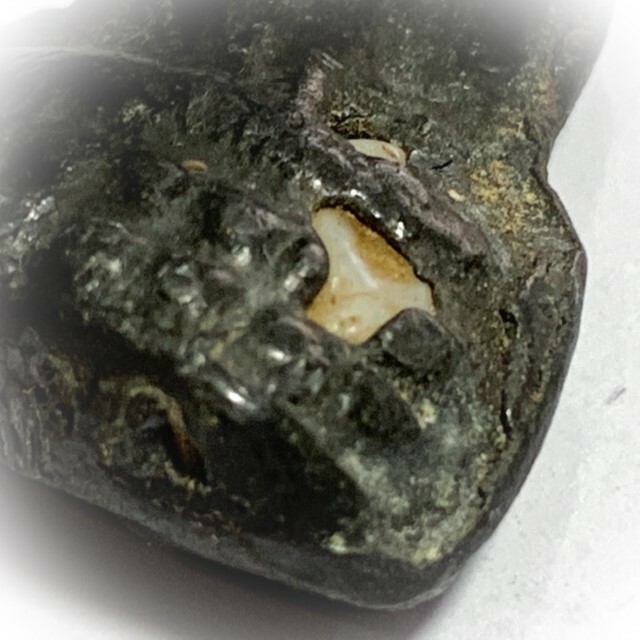 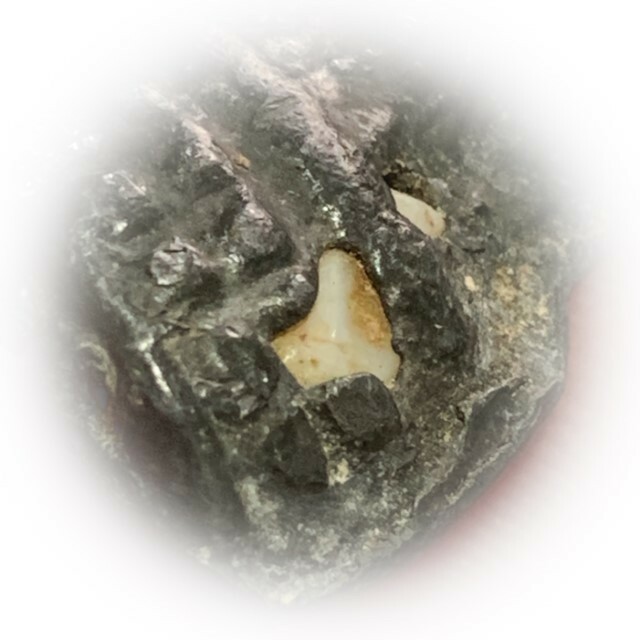 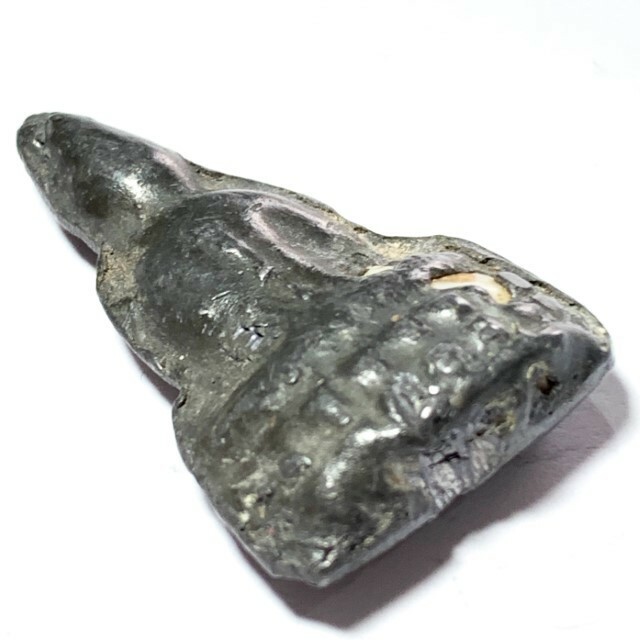 Created by forging them with alchemical metallurgy into leaden statuettes, which the filled with the insertion of a magic spell in Sacred Khom Agkhara on a piece of parchment paper, and wolf's canine tooth. 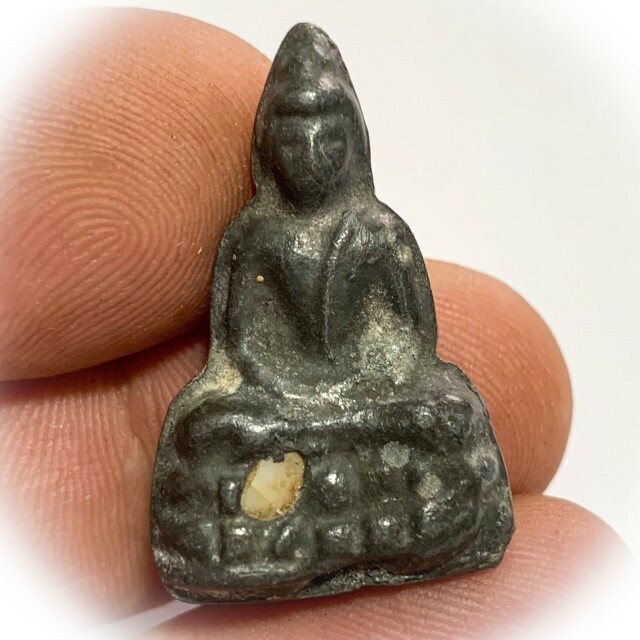 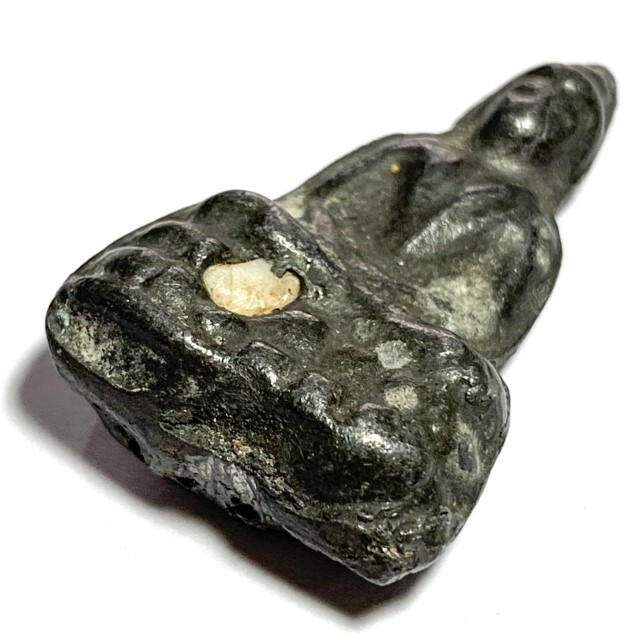 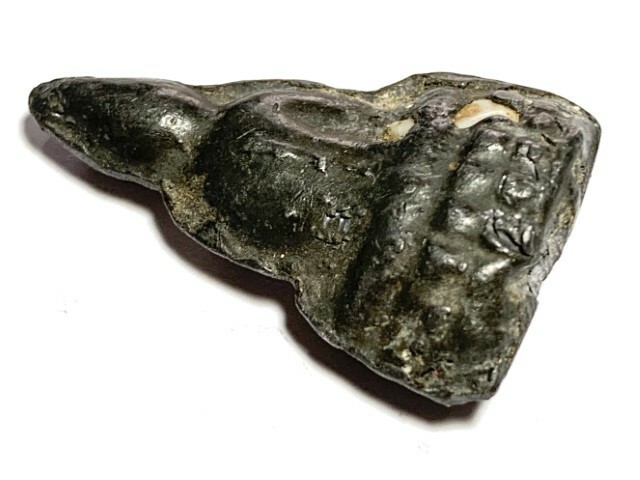 He would make the amulets by bthe alchemical method of using Incantations and meditative prowess to call the mercury to flow to him and guide them into the casting molds with magical spell-casting. 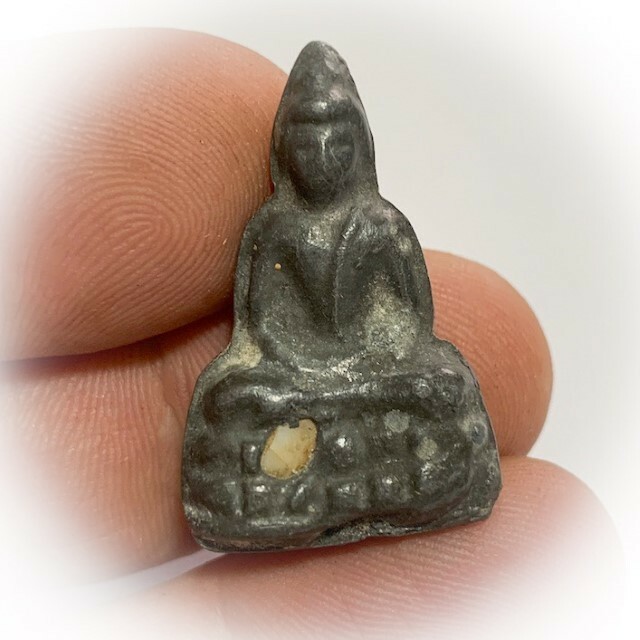 In the beginning, not many people took much notice, but he would exchange one amulet for a cart of rice with some traders. 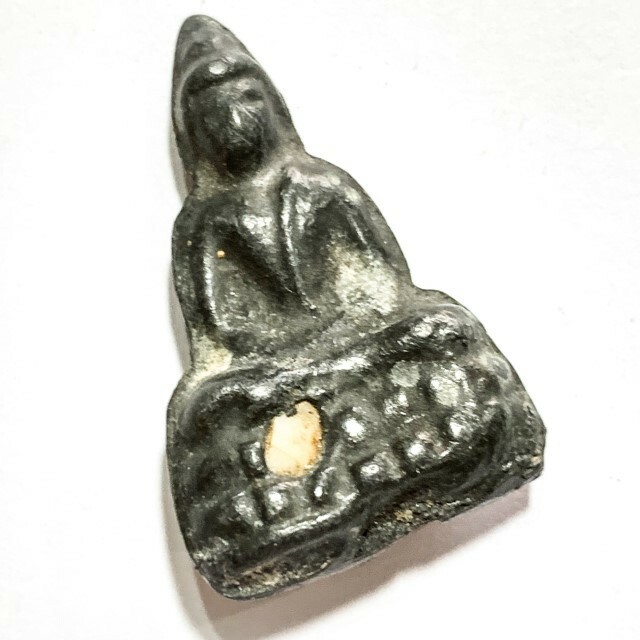 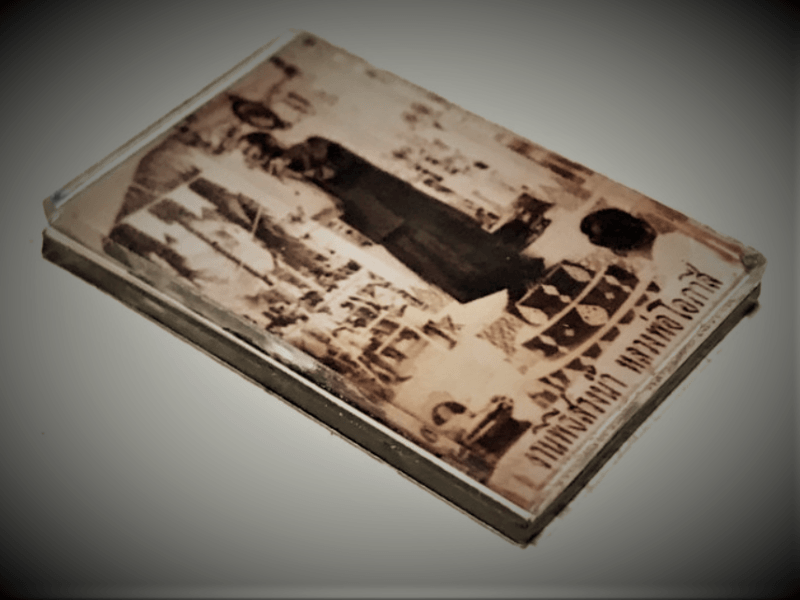 But after some time, there were some devotees who payed reverence and gave alms to Luang Por Dam, and received an amulet as a gift from him for their kindness.